Last week a new job appeared on Google’s careers website. 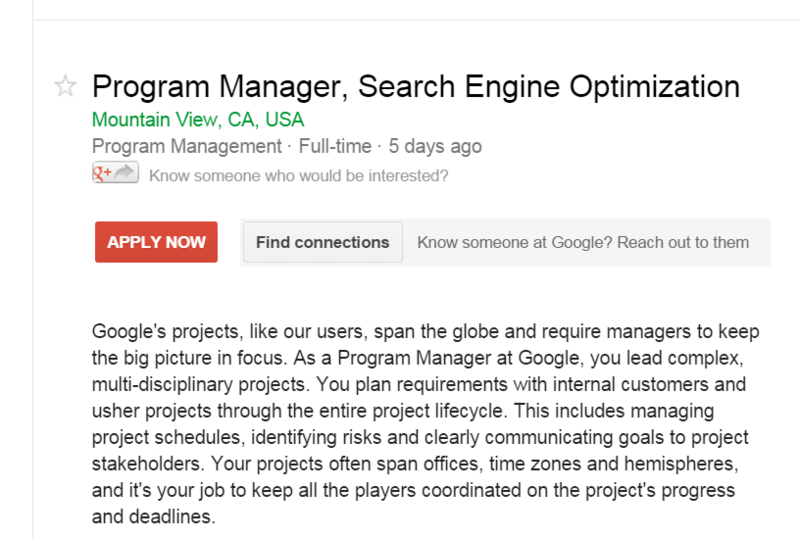 This is not unusual – Google is always seeking new talent. However, the nature of the job is surprising, because Google is looking for a new SEO manager. Why would a search engine need an SEO manager? The fact that Google has an SEO department, which is responsible for improving Google’s products and services within its own search engine, is a sign that Google really does live by its motto of “do no evil”. It would be relatively simple for Google to promote its own pages, but if it did this, the company would immediately lose the trust of searchers and, perhaps more crucially, its paying customers. The job description highlights the complexity of an SEO role. Google require somebody who can “lead complex, multi-disciplinary projects” that “span offices, time zones and hemispheres“. Tasks include website development and optimization, developing a blog and social strategy, improving “code hygiene” and defining web architecture for international websites. These tasks highlight some important SEO areas, namely creating fresh and engaging content that is shared across social platforms, and maintaining a well-designed website that does not suffer from code bloat. Internationalisation is also important for any business that has a global market. SMEs only need to deal with one country – sometimes just a single county is enough – but Google has a global market. You also need to be a cloud expert and capable of engineering the Google Cloud Platform (GCP) to your needs. This role is also for the “cloud SEO program manager” – another new job title that demonstrates how quickly SEO roles are evolving. I wonder, does Google’s SEO manager receive a personal response from the Google search quality team when things are not going to plan? 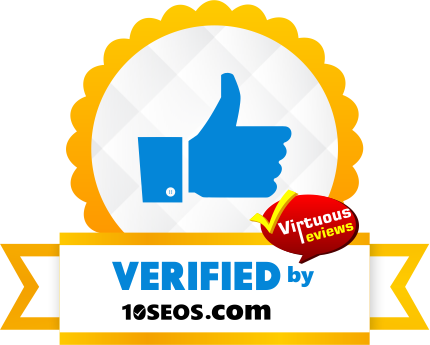 How strong are the Chinese walls between Google’s search engine optimization department and search quality team? And is there cross over in team members? Google used to have a totally transparent culture, where any employee could examine any other project, including its code and inner workings. However, over the past few years, Google has changed this and, like many other large organisations, been forced to build some Chinese walls between departments to prevent trade secrets being leaked and abused. Google is notorious for setting tough interviews, and the interview for head of SEO could be one of the most challenging ones they set. Will too much insider knowledge put a candidate at a disadvantage, or is Google so honest that not even a Googler could manipulate the search engines with sneaky tricks? You can read the full job description here, while it is still available.